Turn ordinary glass into something extraordinary. Today’s top architects and interior designers have looked to Solar Solutions for creative ideas and solutions intended for glass or custom window design. Our decorative and privacy window film products come in an outstanding selection of styles to create a unique feature in your New York home or business. 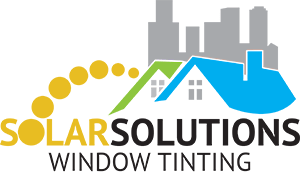 For your convenience, Solar Solutions furnishes and installs the largest selection of decorative and privacy window films in New York. They come in multitudes of different patterns and shades, plus they can be easily removed and replaced to update the appearance of the window at a later time. Thanks to our products, now any flat glass surface can be turned into a work of art, whether it’s an office, restaurant, den, bathroom or child’s room. Decorative window film, along with one way mirror film, diffuses light without appreciably cutting down the ambient light in a New York building. As a result, any existing window can be furnished with window film, converting it to privacy glass in a multitude of attractive patterns. Decorative window film is not only stunning, but will help you add privacy to your New York building. You can replicate the premium look of designer for a fraction of the cost. It’s a perfect balance between function and style, making window film ideal for almost any application. Decorative film and privacy film comes in a variety of styles, including frosted film and stained glass window film. Besides offering a wide selection of products to choose from, Solar Solutions can also install all of them in New York. The wide variety of decorative window film choices we have at Solar Solutions makes them ideal for any New York business application. They’re a great way to maintain a professional appearance while providing privacy at the same time. It’s no wonder that our films are a popular choice for conference rooms, door security, and more. Whatever your business needs to improve the appearance of its windows and increase privacy, we’ll have it. Leave it to Solar Solutions to bring you the very best in decorative window film installations in New York. We’re certain that you, your employees, and your clients will appreciate the new look of your business. A decorative window film can be a striking accent in any room or exterior. Whether you’re looking for one with a beautiful design, or perhaps you’d like to add privacy to a room, Solar Solutions will have what you’re looking for. We’re certain that you’ll find film that perfectly complements your interior décor, as well as the look and feel of your overall home. The decorative films we offer are an ideal choice for many applications across the home. Our New York in-home service will expertly measure the windows in your home and help you decide on what decorative window film you’d like to have installed. The experts at Solar Solutions will ensure that you and your family are happy with the final product.